Thank you to everyone that came out, purchased tickets, and participated in the Open Skate on Nationwide Arena ice during our Columbus Blue Jackets Pride Night! 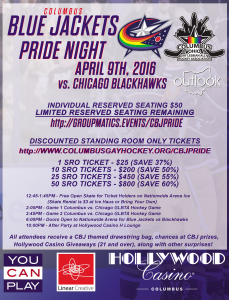 Look for details soon for our second annual Pride Night event with CBJ for the 2016-2017 season! 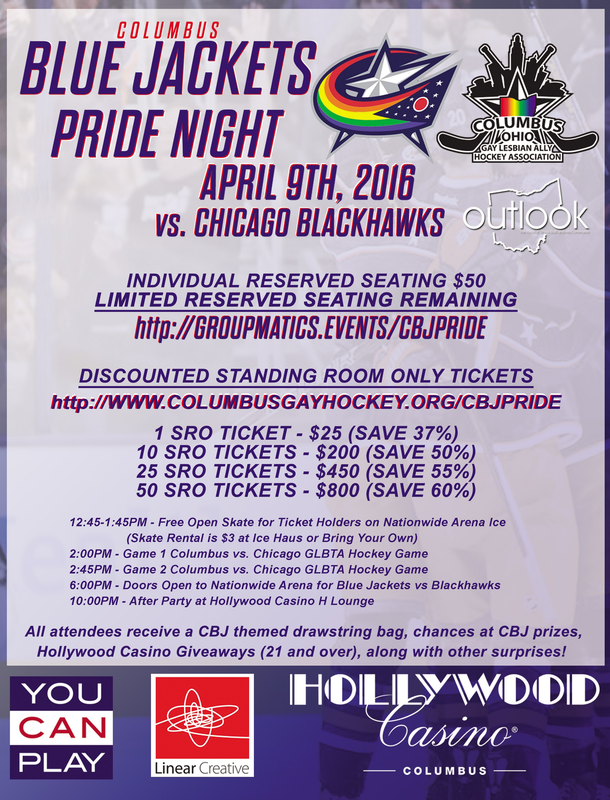 Come out and support both COGLAHA and your Columbus Blue Jackets as we host our first annual Pride Night with the Columbus Blue Jackets. Playing both a midwestern rival, last year’s Stanley Cup Champions, and the last regular season home game, this will be a sell-out game. Limited reserved seating is still available and going fast. Purchase seats here and your tickets will be emailed. Four lucky attendees will be closer than anyone during warmups as they get to watch from the penalty box. Another lucky fan will get to ride the Zamboni as it resurfaces the ice! Everyone will receive a CBJ themed drawstring bag!